It’s no secret that warehouse and manufacturing work is difficult – it’s repetitive, labor-intensive, hazardous, and physically demanding. For managers, it’s a challenge to keep workers engaged and motivated in this type of environment. So, what can you do to motivate and inspire your workforce? The good news is, your people already are. The challenge? Figuring out how to tap into it. Cultivating a high-performance culture that fosters engagement and being able to support it with data is crucial, and companies should make it a top priority. Low employee engagement can be tricky – at times it’s obvious, and other times it’s hard to identify. If you have high turnover, employees who consistently arrive late or leave early, miss goals or are underperforming, chances are your company is lacking in the employee engagement department. 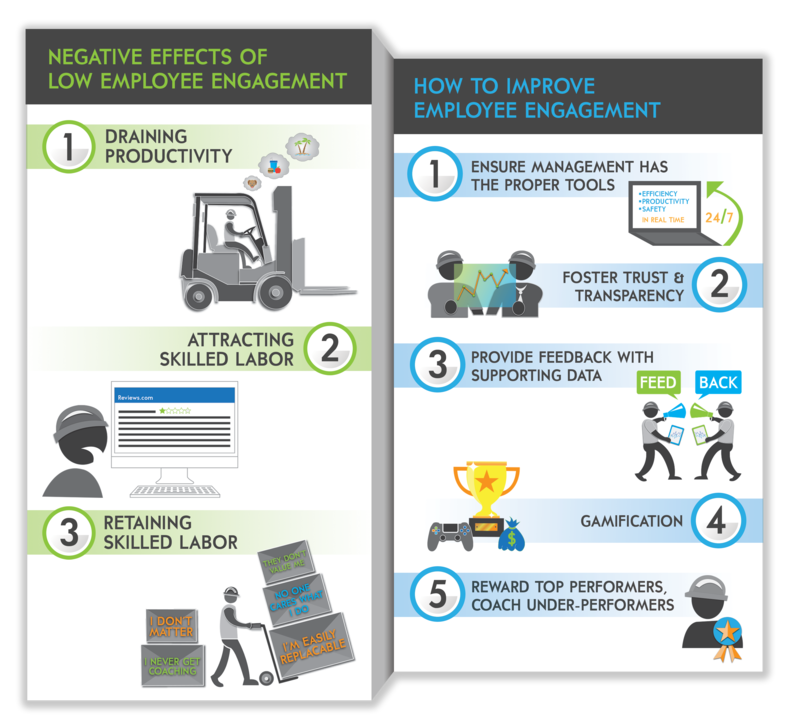 Regardless, low employee engagement has many negative effects on your business and bottom line. In an organizational culture that fosters engagement, transparency, trust and ongoing development, employees are more likely to be productive and committed, therefor driving better business results and outcomes. If you have questions or would like to learn more about boosting employee engagement within your organization, you can book a meeting with a TZA specialist today.